Oenophiles have long been drawn to France’s wine-producing regions, many of which are easily accessible from Paris. 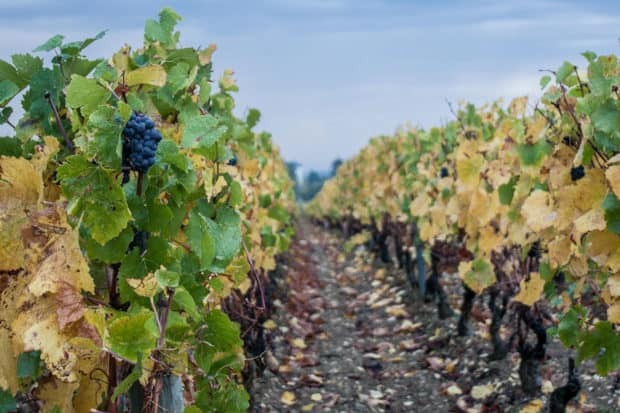 Depending upon your preferred type of wine experience, travelers can choose among the most iconic wine regions—Bordeaux, Burgundy, Champagne and the Loire Valley—as well as up-and-comers, such as Alsace, and lesser-known gems, such as the Rhône Valley. 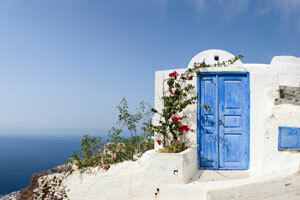 Contact Indagare for assistance planning a trip to the French wine regions. The most famous of France’s wine regions, Bordeaux is located along the river Garonne in southwestern France. Long called the “Sleeping Beauty” of the country, the scenic city has experienced a major revitalization in recent years. 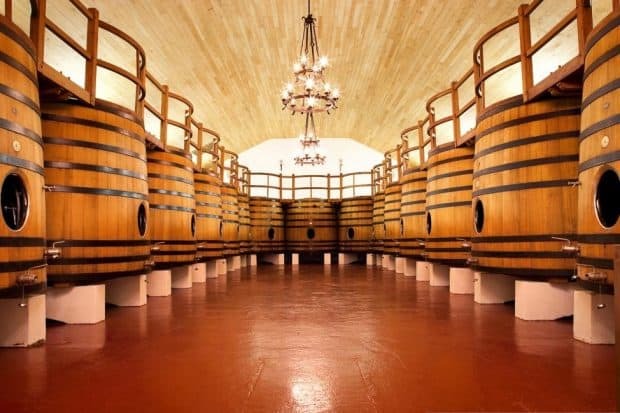 Comprised of several well-known regions, including St Emilion, Graves and Médoc, Bordeaux is where you will find some of the most exclusive names in the industry, in addition to smaller, family-owned productions. Wine lovers will be spoiled for choice in Bordeaux, which encompasses 100,000 vineyards, but the region has built a particular reputation for its full-bodied, deep red wines. Culture mavens will also find plenty to do in Bordeaux, including performances at the exquisite Grand Théâtre de Bordeaux, one of Europe’s last and oldest wooden-frame opera houses. The once-quiet town of Bordeaux has recently been reimagined into a bustling epicenter of culture and activities, with its pedestrianized boulevards dotted with food trucks and independent coffee shops, in addition to the Bassin à Flots, a thriving waterfront area with shops and cafés. A walking tour of the historic city could include stops at the 13th-century French Gothic cathedral, 15th-century Pey-Berland Tower (which you can climb for great views), the Contemporary Art Museum and the impressive Place de la Bourse, an elegant square constructed during the 18th century (Michel Corajoud’s permanent installation Miroir d’Eau, a reflective masterpiece, is located nearby). Travelers should visit the charming medieval village of Saint-Émilion, which overlooks the flatlands and sloping vineyards, and history buffs can take a day-trip to the Lascaux cave complex, home to the now-legendary prehistoric cave paintings. 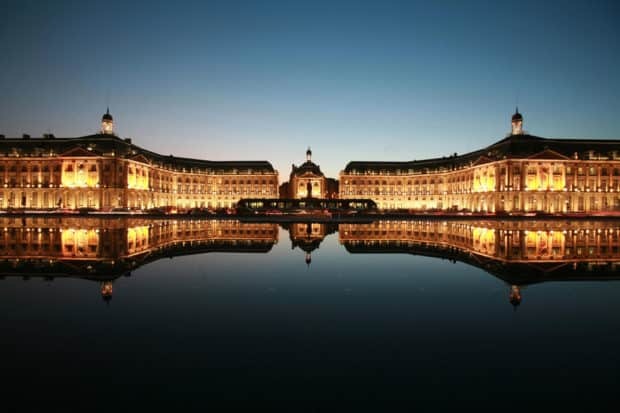 The city of Bordeaux’s grande dame is the InterContinental Grand Hôtel de Bordeaux & Spa. Composed of five beautifully restored, 18th-century buildings, the aptly named Grand Hôtel is brimming with opulent Old World ambience. Also in the city, a favorite boutique option is La Grande Maison de Bernard Magrez, a refined townhouse property from Bernard Magrez, the owner of four grands crus in Bordeaux, with a Michelin-starred restaurant, excellent staff and unique wine-focused experiences. A 30-minute drive outside the city, Les Sources de Caudalie is the epitome of a French country escape, with lush gardens, a gorgeous vineyard setting in the Graves region and a serene spa that offers wine-based treatments from renowned beauty company Caudalie. For a unique splurge, Indagare can arrange a stay at the dramatic Château Cos d’Estournel, one of the most spectacular wineries in the region. A high-speed train connects Paris and Bordeaux in just over two hours. The Bordeaux–Mérignac Airport also offers flights to and from many European cities. 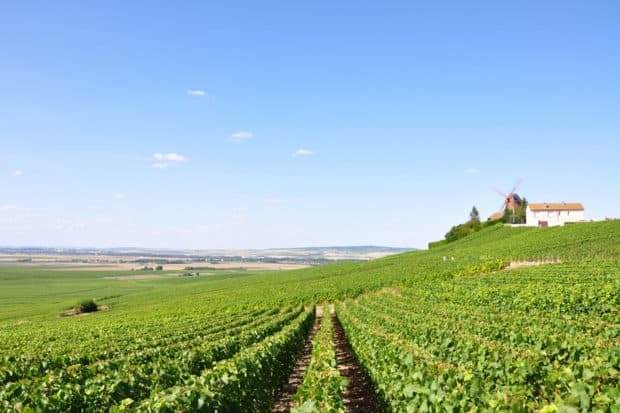 The second most famous of France’s wine-producing domains, Burgundy is the home of one of the world’s most iconic wines, the Romanée-Conti, as well as dry red wines made from Pinot noir grapes and white wines from Chardonnay grapes. Within Burgundy, the northern Chablis region produces white wines, while the Beaujolais region is known for its light-bodied reds. In addition to tastings and vineyard tours, travelers should explore Beaune’s charming and well-preserved old town, home to the Hospices de Beaune, France’s most famous wine auction in a grand French-Renaissance hospital. On Saturdays, don’t miss the gourmet food market filled with local delicacies and fresh produce. You can also tour the lively city of Dijon, the capital of the Dukes of Burgundy and a medieval city with monuments, mansions, gardens and colorful church towers. Here, you can also visit the Musée des Beaux-Arts, Les Halles Market and the Dijon Cathedral—and don’t forget to try the mustard. Options in Burgundy include Bernaid Loiseau, a Relais & Châteaux property with a superb restaurant; Abbaye de la Bussière, housed in a secluded, 12th-century monastery between Dijon and Beaune; and Hostellerie Le Cedre, a boutique property in Beaune with delicious food and friendly staff. The high-speed train from Paris to Dijon takes approximately one hour and 30 minutes. 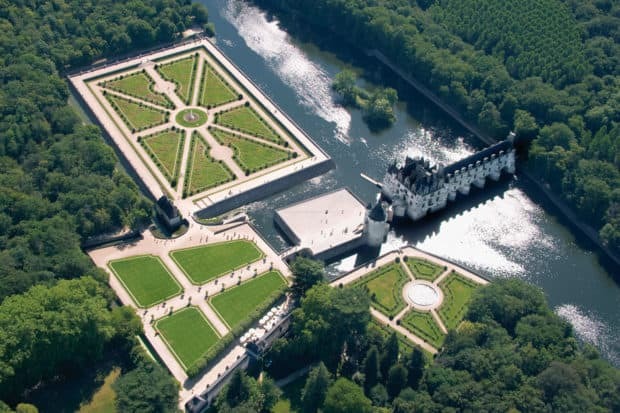 The country seat of French royalty since the 1500s, the Loire Valley is a UNESCO World Heritage Site with Renaissance-era castles, rural villages, bicycle trails, forests and vineyards. The bulk of the Loire’s wine production is white, including Sauvignon Blanc and Sancerre (though the Chinon and Bourgueil areas are famous for their excellent red wines). The Route des Vignobles Touraine-Val de Loire includes stops at a variety of vineyards, many of which are open for tastings. 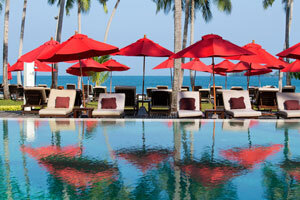 Some of our favorite wineries include Domaine de Noiré and Domaine de la Chevalerie. But the wine isn’t the Valley’s only draw, as it is famously home to some of France’s most iconic castles, including Château de Chambord, a masterpiece of French Renaissance architecture; Château de Beauregard, known for its portrait gallery and gardens; and Château de Chenonceau, a 16th-century fairytale castle built across the River Cher. In addition to the most popular châteaux, the newly restored “secondary” castles offer an intimate, crowd-free view into France’s rural aristocratic traditions. There are several charming, intimate options for travelers looking to stay in the Loire Valley. Set in a lively village, La Dixmeresse is a 19th-century mansion that was transformed into a five-room inn. The 29-room Château de la Bourdaisière, an aristocratic 15th-century castle, feels like an eccentric friend’s abode, complete with family photos, antique furniture, whimsical touches and creaky floors. Domaine de la Tortinière is an elegant 19th-century château in the heart of the Valley with 26 rooms and six suites, chic interiors, a large pool and nearly 40 acres of flowering parklands. Indagare Tip: Don’t miss La Domaine des Hauts de Loire, for a Michelin-starred meal in a country-chic atmosphere. High-speed trains between Paris and the Loire Valley range from 35 minutes to 90 minutes in duration, depending upon your desired destination. Driving takes approximately two to three hours. Though less famous than France’s other wine regions, Alsace has gradually been gaining more recognition. The official Alsace Wine Route was christened in 1953 and stretches more than 100 miles through the region, from Marlenheim to Thann, providing access to approximately 1,000 producers. Located in eastern France, along the borders of Germany and Swizterland, Alsace’s turbulent history—Germany and France hotly contested the frontier province for centuries, and the region changed nationality five times between 1870 and 1945—has shaped a unique blend of French and German cultures that can be experienced in the region’s architecture, cuisine, wines and more. Alsatian wines are predominantly white, and the region is known for its dry rieslings and Gewürztraminer wines (a combination of the German words for “spicy” and the grape “traminer”), as well as Pinot Gris (said to be the older, more sophisticated brother of the Pinot Grigio). 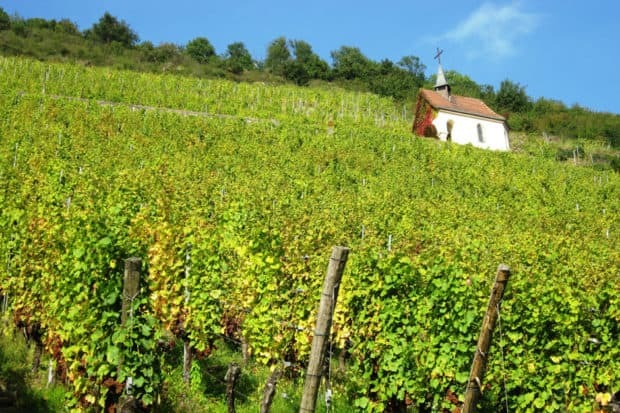 Indagare Tip: The top wines in Alsace are made from riesling, and in special vintages, the wines labeled Vendange Tardive, meaning “late harvest,” are especially ripe and powerful. Alsace, where celebrity chef Jean-Georges Vongerichten was born and raised, is known for its distinctive, hearty cuisine merging elements of French and German fare. The area is also France’s main beer-producing region, with most breweries concentrated around the capital of Strasbourg (where brewing was recognized as an official trade in 1268). The region was occupied by Germany during the Second World War, and travelers with an interest in wartime history will find a myriad of sites to explore, including forts; barracks; memorials; KL-Natzweiler, the only concentration camp in France; the Maginot Line fortifications; and MM Park, a 7,000-square-meter complex dedicated to World War II, where highlights include a German E-boat and two unique flight simulators. 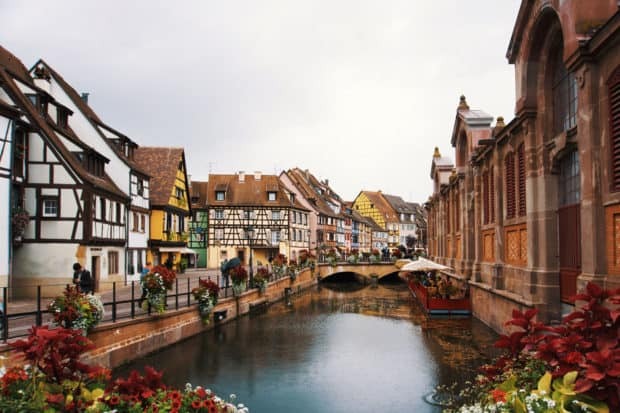 Travelers who prefer to stay in town may consider the Hotel Sofitel Strasbourg Grand Île, located in the region’s capital of Strasbourg, or the charming Maison des Têtes in Colmar, heralded as one of Europe’s most picturesque towns, thanks to its narrow canals and colorful houses. Those looking to stay outside of the cities may enjoy two rural retreats: Château de l’Ile, nestled within wooded parkland outside Strasbourg, is a secluded and tranquil 19th-century castle with a spa, while Château d’Isenbourg, near Colmar, is an elegant country home along the Wine Route, with a gastronomic restaurant serving regional cuisine. From Paris, the high-speed train to either Strasbourg or Colmar takes approximately two hours and 20 minutes. The Rhône, in southern France, comprises two distinct regions, producing both red and white wines: the Northern Rhône contains the sought-after appellations of Côte-Rôtie, Crozes-Hermitage, Hermitage, Saint-Joseph and Condrieu, while the Southern Rhône, near Avignon, is famous for Châteauneuf-du-Pape (meaning “the Pope’s new castle,” a reference to the temporary relocation of the papacy to Avignon). Tastings and tours in the Rhône wine region are easily combined with a trip to Provence, which lies just south. 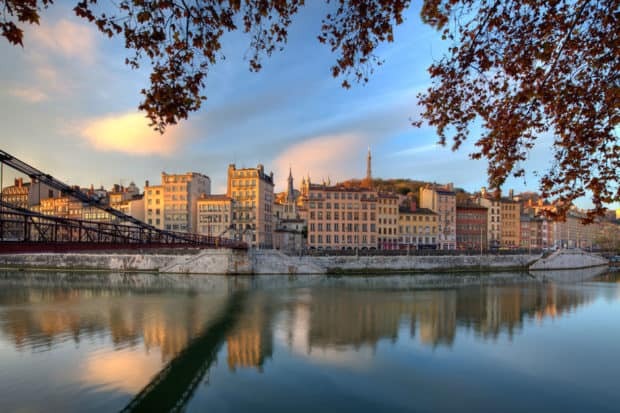 One of France’s oldest cities, the UNESCO-protected Lyon is known as the country’s gastronomic capital. The beloved foodie hub is also home to the spectacular Basilique Notre-Dame de Fourvière, a hilltop neo-Byzantine basilica akin to Paris’ Sacré-Cœur. Lyon’s world-renowned textile museum and research center (inside a lovely 18th-century mansion) is a highlight of any sojourn and, for textile and design aficionados, a reason in itself to visit the city. Nîmes is known for its ancient Roman ruins, including the Arena, one of the largest in Europe; the Maison Carrée, one of the best preserved temples of the Roman Empire; and the Pont du Gard, a first-century Roman aqueduct bridge. Vienne, another one-time hub of the Roman Empire, draws jazz lovers each summer to its Jazz à Vienne festival. Many of Lyon’s top hotels—each with spectacular views over the city—are found in the airy Fourvière hill neighborhood. With a wildflower garden, indoor pool, spacious, serene rooms and attached private terraces, Villa Maia offers a chic, understated vibe. Fourvière Hôtel, housed in a stylishly restored 19th-century convent, has a more casual atmosphere with a strong sense of place. Lyon can be reached by a two-hour train ride from Paris or a five-hour train ride from London. The city also has an international airport, Lyon Saint Exupéry airport. For those who prefer their wine sparkling, Champagne, in the northeast of France, is a must-visit. And the region shares the grand reputation of its eponymous product: France’s most northerly wine-producing region features splendid châteaux, Michelin-starred restaurants, lush forests and historic landmarks. Underscoring its historical and geographical importance, UNESCO added the Saint-Nicase Hill in Reims (which has been occupied since Roman times and is now home to six of Champagne’s grand maisons) to its World Heritage List in 2015. In Champagne, according to The Wall Street Journal, there are approximately 5,000 different brands of Champagne supplied by more than 15,000 individual growers farming a total area of 70,000 acres—enough to make your head spin even before you take a sip. Indagare Tip: Though the Champagne market has long been dominated by the larger houses, such as Louis Roederer and Moët, many smaller growers are now showcasing unique wines that are worth seeking out, such as Cédric Bouchard and Marie-Noelle Ledru. A trip to the region should not only be spent sampling different types of bubbly, but also exploring the diverse landscapes, rich cultural traditions and impressive historic sites. 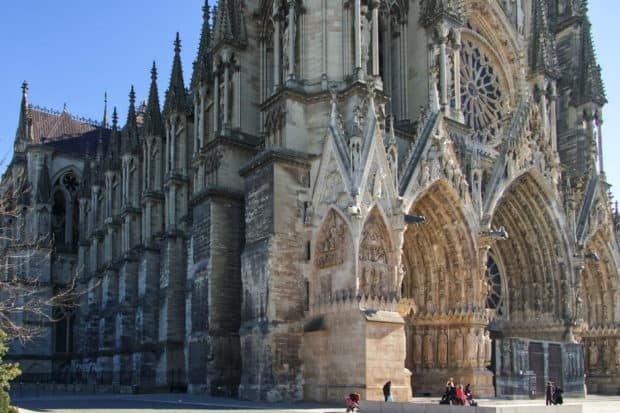 In Reims, don’t miss the 13th-century cathedral, which once served as the coronation site for French kings and features breathtaking stained-glass windows as well as modern additions by such artists as Brigitte Simon and Marc Chagall. History aficionados should also explore the memorials and cemeteries of Verdun, the site of a famous World War I battle. The top property in Champagne is Domaine Les Crayères, a sumptuous château where traditional French art de vivre meets 21st-century luxury. Located within walking distance of several prestigious Champagne houses and a quick car ride from downtown Reims, the property has 20 guestrooms, 17 acres of parkland and a Michelin-starred restaurant. The high-speed train from Paris to Champagne takes approximately 45 minutes, and driving takes approximately one hour and 30 minutes.